Google Clouldprint is a great tool that allows you to print content to directly to your printer from anywhere, even if your printer is at home on the other side of the world! Also, it will queue up the print jobs until your printer is turned on. You can also share your printer with others, allowing them to print to it also, from anywhere. However, only newer printers are Google Cloudprint ready. This means that older printers need to have some other way to become Google Cloudprint devices... This is where Raspberry PI comes in. 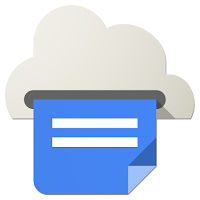 For 40euro you can turn pretty much any printer into a Google Cloudprint device. Regardless of whether your existing printer is connected via Wifi, LAN or even USB! FYI, Rasbian is the OS of choice for this howto!